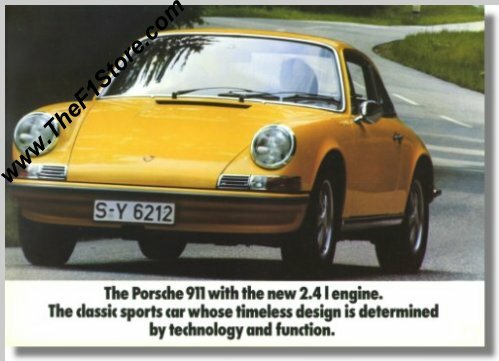 Vintage & original 1971 Porsche 911 T/E/S Sales Brochure. Measures approximately 11.5 x 8 inches or 29.5 x 21 cm and opens up to twice that size. Print reference: W 46e - 020 - 971 - 0704.